Every parent wants their child to come home safe at the end of the school day. Here at Bark, we’re proud to announce our partnership with Safe and Sound Schools. Safe and Sound Schools is an incredible organization, and we’re thrilled to work together to help keep students safer both online and in real life. By combining our knowledge and experience, our partnership can provide schools with more comprehensive school safety resources. Safe and Sound Schools was founded by Michele Gay and Alissa Parker in the wake of the Sandy Hook tragedy. Michele and Alissa both lost children that day, and their experience has made them uniquely empowered to inspire change. Safe and Sound Schools provides research-based tools and resources for crisis prevention, response, and recovery to help protect every school and every student, every day. Their dedication to improving school safety has spread to all 50 states and more than 100 countries around the world. Schools are pillars of their communities, and at Bark, our goal is always to make them safer places for kids to learn and grow. In response to the devastating Parkland shooting, Bark for Schools launched in February of 2018. Bark monitors school-issued Office 365 and G Suite accounts for signs of cyberbullying, sexting, suicidal ideation, school shootings, and more — at no cost at all to the school. 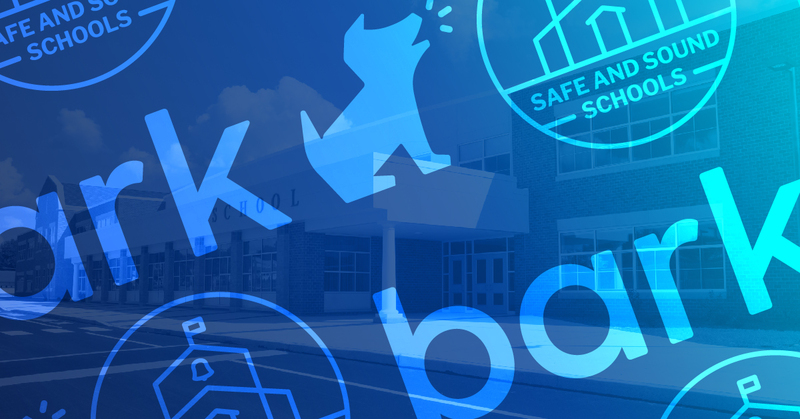 With dozens of school districts signing up every week, Bark for Schools helps to protect students in more than 1,000 school districts from digital dangers. We know that today’s students face greater dangers than those that came before them. External threats like cyberbullying and school shootings have them on edge, and threats like self-harm and suicidal ideation confront them from within. Bark and Safe and Sound Schools are now working together to combat this problem, knowing we can make a huge impact. Schools need strong partners in protecting their students. Bark and Safe and Sound Schools are committed to supporting that effort, and by combining our strengths we’ll be able to provide greater resources than ever. This new partnership will ultimately help schools maximize their ability to prevent what’s preventable, and to be better prepared when tragedies do occur. In a perfect world, we wouldn’t need school safety initiatives at this level. But we know parents and schools need all the help they can get so their kids can live happy and healthy lives. School safety solutions that involve the whole community are the best ways to make a difference. Our partnership with Safe and Sound Schools is a step towards comprehensive school safety that helps protect kids both online and in real life. Now is the best time to join our shared mission. Bark is offering a lifetime discount of 20% to members of the Safe and Sound Schools network for monitoring personal accounts with our product for families, using the promo code “SAFEANDSOUND.” Sign up today!